My disappointments with the current democratic administration continue to outpace my ability to forgive the actions of the previous administration- actions which guarantee that I will never vote again for that political party. Never. The following is from a recently published translation of Jose Saramago’s blog, O Caderno. Agree or disagree with him, Saramago always had a way of making his points in a way that few others dared to make them, or were skilled enough to make them.. I wonder why it is that the United States, a country so great in all things, has so often had such small presidents. George W. Bush is perhaps the smallest of them all. This man, with his mediocre intelligence, abysmal ignorance, confused communications skills, and constant succumbing to the irresistible temptation of pure nonsense, has presented himself to humanity in the grotesque pose of a cowboy who has inherited the world and mistaken it for a herd of cattle. We don’t know what he really thinks, we don’t even know if he does think (in the noblest sense of the word), we don’t know whether he might not just be a badly programmed robot that constantly confuses and switches around the messages it carries inside it. But to give the man some credit for once in his life, there is one program in the robot George Bush, president of the United States, that works to perfection: lying. He knows he’s lying, he knows we know he’s lying, but being a compulsive liar, he will keep on lying even when he has the most naked truth right there before his eyes- he will keep on lying even after the truth has exploded in his face. He lied to justify waging war in Iraq just as he lied about his stormy and questionable past, and with just the same shamelessness. With Bush, the lies come from very deep down; they are in his blood. A liar emeritus, he is the high priest of all the other liars who have surrounded him, applauded him, and served him over the past few years. George Bush expelled truth from the world, establishing the age of lies that now flourishes in its place. Human society today is contaminated by lies, the worst sort of moral contamination, and he is among those chiefly responsible. The lie circulates everywhere with impunity, and has already turned into a kind of other truth. When a few years ago a Portuguese prime minister- whose name for charity’s sake I will not mention here- stated that “politics is the art of not telling the truth,” he could never have imagined that sometime later George W. Bush would transform this shocking statement into a naïve trick of fringe politics, with no real awareness of the value or significance of words. For Bush, politics is simply one of the levers of business, and perhaps the best one of all- the lie as a weapon, the lie as the advance guard of tanks and cannons, the lie told over the ruins, over the corpses, over humankind’s wretched and perpetually frustrated hopes. We cannot be sure that today’s world is more secure, but we can have no doubt that it would be much cleaner without the imperial and colonial politics of the president of the United States, George Walker Bush, and of the many- quite aware of the fraud they were perpetuating- who allowed him into the White House. History will hold them to account. I cannot add to his biography, so to pile words on top of him that have already been piled would be to obscure the life he lived and the death he died in ways that would prove to any student of his life (or death) that I did not know Saramago except through his writings, knowledge that has only spanned the last four years anyway, and I don’t know Portuguese which it would be vital to know if a credible biographical sketch were to be written, but what I do know is this and it is why I was fruitlessly looking for his newest book yesterday at Books-a-Million before I came home and discovered on Yahoo News that he had died: he set words loose for me. And for thousands of others, maybe millions. I know a run-on sentence when I see one and Saramago, the purists would say and have said, used them a lot, along with more than usual commas and less than normal periods. When I first read The Gospel According to Jesus Christ– as banned in his homeland Portugal and as awarded a Nobel in Sweden- it was as if God godself had smashed the grammatical link which had kept me chained to my eighth grade English teacher Mrs. Bair and untangled me from the sentence diagrams in which I had been by her, wrapped. He made words be adequate- as perfect as they could be for a moment, or for decades, never forever. He tortured them as they tortured him and his readers were that contest’s winners. He understood that to use a word meant not being able to use a hundred others; that words both explained and hid, enhanced and destroyed our human realities, our remembered dreams, and our unleashed imaginings. 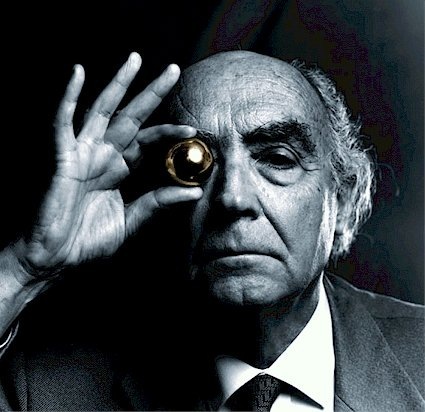 Goodbye, Mr. Saramago, I am not so blind because of you.. The beach calls to the edges of our temporality. It makes blurry those events we call our birth and death. 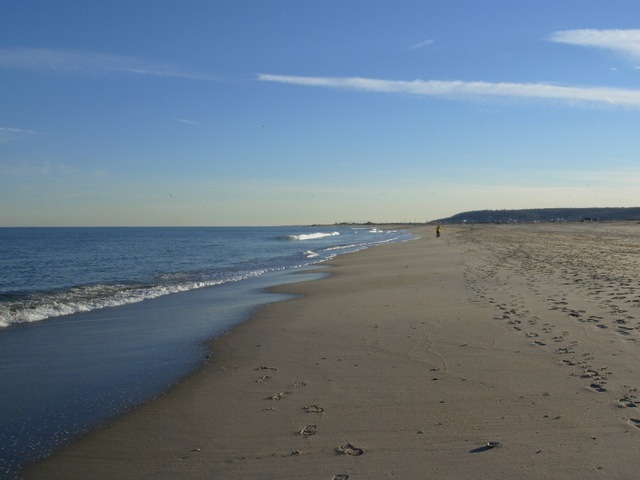 The beach confuses us, and pleasantly so, about what we believe, how we came to believe it, and how those beliefs are determining the ways we live. This morning’s kelp, after all, has been rolling onto this shore for millennia before there was any human here to perceive it. The gulls have been busy at their finding and eating of sand fleas long, long before there were names for either of them. And the very ground, now between our toes, is a billion year old artifact of volcanic eruptions and the always-rewritten record of teeming shell life beyond our sight. “Who am I?” becomes one of the questions drawn from us by the beach’s eternal dialogue. “Who cares?” is one of the liberating answers, if we are listening. And that answer is not to negate any of us who are clinging to our individualities for definition and meaning. It is, rather, an answer that allows us to begin to transcend ourselves- to see and start to understand our lives in the context of eternity, rather than the prison of time. All that we are seeing at the beach is part of something that came before. It is all still there. The ocean waves of a thousand years ago are no longer seen, but their substance laps at our feet. The shells of 200 million year old ammonites and other crustaceans have been ground into a luxurious, hundred foot pile carpet for us to walk upon, and for the sand fleas to hide within. The wind, born of the ocean and the moon, again and again and again, is the same wind which lifted pterodactyls yesterday, and gulls and pelicans and terns this day. Watch the piles of kelp over several days, and you’ll see the thin black history of the Earth’s Carboniferous Period leaking into the sand strata beneath them. It is possible, sitting here at the edge of Life’s beginnings, to- for moments- forget even our names. It is possible, breathing here the salt air of Creation, to feel absolute freedom from our selves.